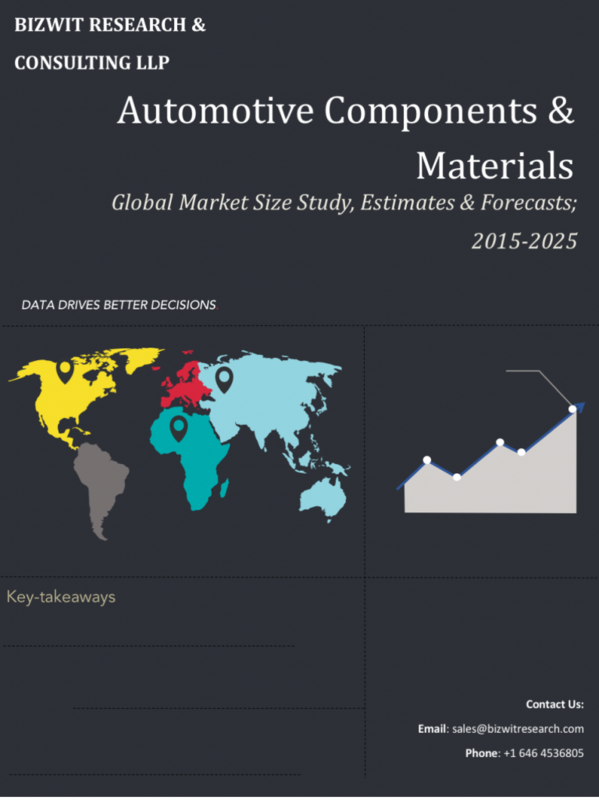 Automotive Component and Material Industry is increasingly witnessing new entrants from OEM sector which is a key reason behind the anticipated growth of this vertical. Most of the participant in the value chain of the automotive industry including Automotive OEMs, system suppliers, component manufacturers and raw material suppliers are continuously looking for modifying and upgrading their products offerings. Thus, Bizwit Research has selected some of the most volatile research titles which include accessories, camera modules, connectors and other after-market components. Our offering provides business research and strategic consulting solutions for all the niche and emerging segments covering Automotive Component and Material Industry’s entire value chain including both demand and supply sides. Global Asia Pacific Automotive Suspension Systems Market Size study, By System Type (Dependent, Independent), By Component Type (Spring, control arms, Ball joints), By Vehicle Type (Passenger, Commercial), By Damping Type (Electromagnetic, Hydraulic, air suspension) and by Regional Forecasts 2017-2025. Global Compressed Natural Gas (CNG) Market industry valued approximately USD 74 billion in 2016 is anticipated to grow with a healthy growth rate of more than 11% over the forecast period 2017-2025.